Die casted zinc has a range of benefits when it is about die casted complicated and technical subjects. If you have the right molds, you can produce a continuous subject in large quantities of up to 500.000 pieces. The objects can often be guaranteed of 500.000-1.000.000 shots before it requires replacement of larger parts in the mold. We are behind the construction of your mold, working from your construction documents, and at the same time optimizing your products with the required use of material. If contact is started as soon as possible we will be able to help in the construction phase, and also optimize the costs of the mold also. We can get individually manufactured molds in cooperation with the best toolmakers in Eastern Europe. We have done this for the last 10 years with a great outcome. We store your molding tools in a fire safe warehouse and continue to maintain them after the agreed arrangement. Our machinery and production are specialized in production of zinc objects. We can cast objects with a weight of 1 gram and up to 2,4 kilos. It is very important for us and our customers, that we deliver products in the desired quality and at a competitive price. Therefore, we are assisted by fully automatic casting machines. 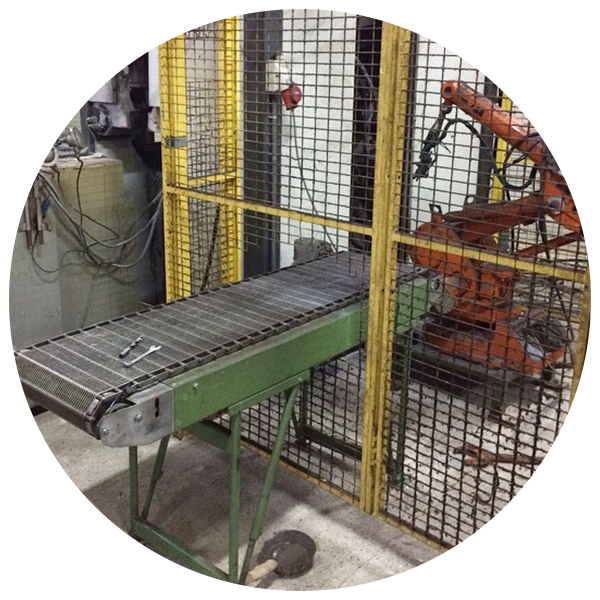 Our casting cells are equipped with robots and automatic equipment. This secures a stable and equal casting process, and at the same time it will reduce production costs. We always see it as our task to contribute with our knowledge and expertise to optimize your product where possible. Therefore, we often participate in the design phase as soon as possible, so we can secure the quality and optimization of your product together, when it comes to functionality and production. Zinc is the recommended material when you have specific demands of die-casted object's surface. Our treatment methods secure a great durability against tear. We have many years of experience with delivery of die-casted zinc objects with different surfaces. We have a good partnership with leading surface treatment companies in Balkan, which secures the best possible service and quality for our customers. With zinc you are secured high quality. This unique material is made for die-casting and rarely requires post treatment. We are automated as much as possible to keep the cost as low as possible and secure the desired quality.